January 29, 2012, Washington, DC: Traveling by bicycle affords me the opportunity to see places I'd never see in the car or on foot. The allure of the bicycle comes not only from the pace of the exercise and the access to fresh air, but from the observations about this cityscape I collect along the way. Mustering up the motivation to go for a run sometimes requires a pep talk, but a trip by bicycle requires no such coaxing. On a bicycle cruising west down C Street into another part of town, I don't need to force myself to enjoy the experience as it is happening. On two wheels, I live fully in the present moment, in part because riding a bicycle requires strict attention to detail. It is the optimal mode of transport for the observer within. A bicycle brings me to corners of the city inaccessible to vehicles. It propels me far beyond the radius I can cover on foot. On a bicycle, I file away the tiniest details of places I'd never otherwise know. I know where the sidewalk is recently repaved by the fish market and where the smooth new pavement abruptly ends beneath the 14th St. Bridge overpass. I know how the noise of traffic sounds above the Potomac over one shoulder and the way the river looks whizzing through the metal rails over the other. I know too about the pleasant silence that follows rounding the sharp corner by the Humpback Bridge onto the trail south along the river. I know to unclip from my pedals approaching Reagan National Airport because people staring at the sky don't realize they've stepped into the middle of the bike path. People who travel by bike can tell you things about this place -- not only about its infrastructure, but about its character, and about how differently the city can feel from one day to the next. They can tell you where that panel of crosswalk juts up above another in the middle of Pennsylvania Ave, and how the spirit of Old Town, Alexandria catches on approaching Oronoco Bay Park. 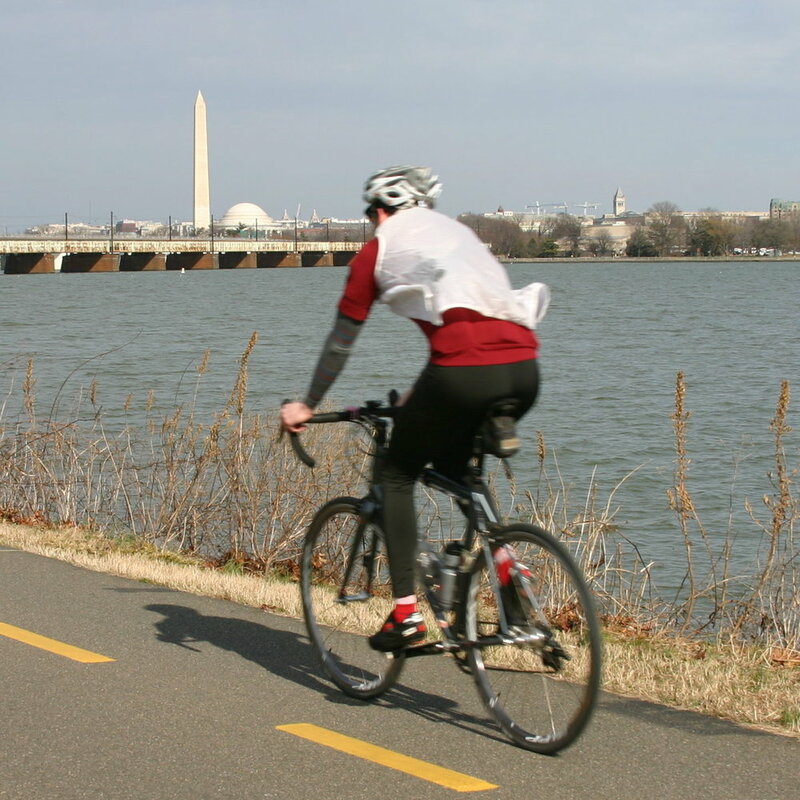 They can tell you how challenging a day in Washington can feel when they're out of shape or fighting a headwind. They can elaborate on how easy life feels here in the city with the breeze at their back.